Decided to customize my first mirrorless camera, Fujifilm’s X-T10. I was originally a DSLR user and recently converted to mirrorless due to its ease of use, portability, and top notch image quality comparable to high end DSLRs. 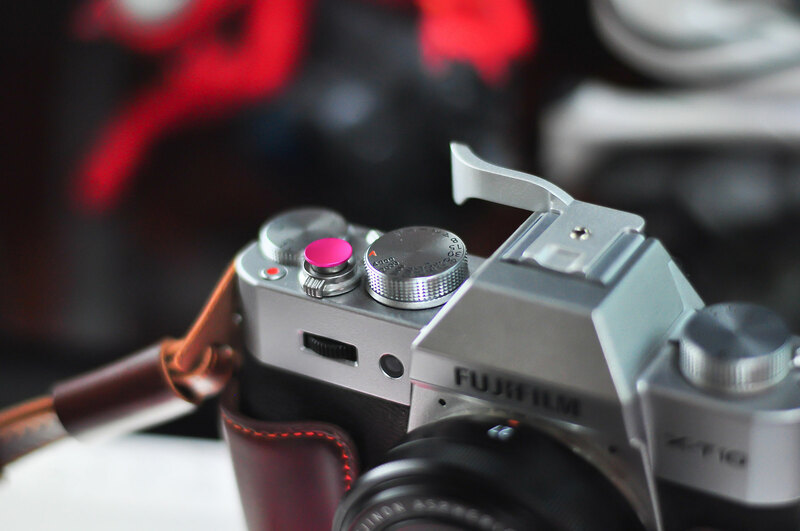 The good thing about these mirrorless camera is their customizability in terms of “style”. I recently purchased some 3rd party accessories to “dress” and improve its usability. The thumb grip and soft shutter button was a great addition to the camera as it improves the stability of my handheld shots. The brown leather case looks good as well since it compliments the X-T10’s silver body. Some 3rd party synthetic brown leather case.